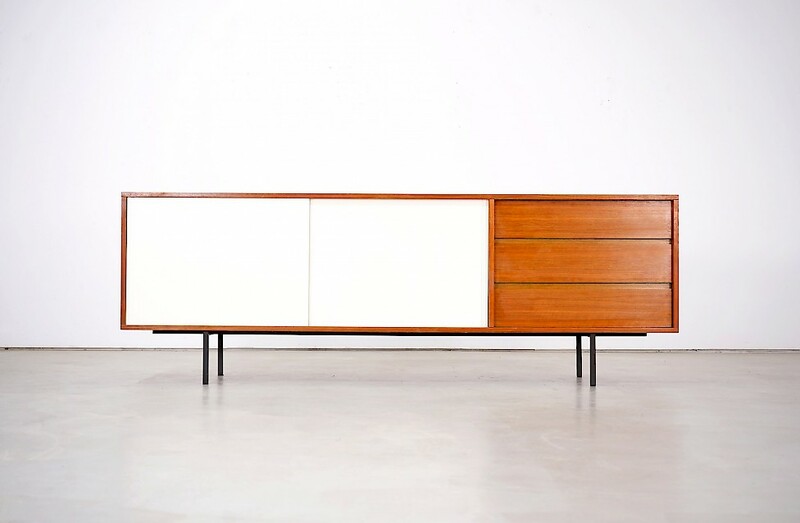 Helmut Magg designed this sideboard in the 1960s. The manufacturer Deutsche Werkstätten made the piece out of nutwood. It rests on a steel frame. The doors of the sideboard are painted white. Hidden behind these doors are two shelves. The piece of furniture has three spacious drawers. It has been marked by the manufacturer.